Below are the rules and regulations governing pets within the City of Tye. 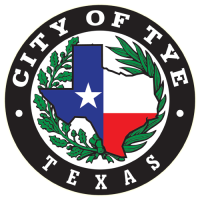 These rules and regulations were taken from the City of Tye Animal Control Ordinance and highlight the most common rules and regulations pertaining to pets. If you own a pet or are thinking about getting a pet, please ensure you read over these rules and regulations to ensure you are compling with the city ordinance. For additional rules and regulations, please visit the City Ordinance site, located on the home page, or contact City Hall at 325-692-8588. (1) Kennels shall be operated only in commercial 2 “C2” or light industrial “LI” zones; or in open agriculture “AO” or heavy industrial “HI” zones with a special permit issued by the city’s animal control division. (2) Kennels shall be more than three hundred (300) feet from any residence or habitation for human beings (other than the residence of the owner, lessor, keeper, or possessor of such kennel). The foregoing distance requirement shall be determined by measuring in a straight line between the two (2) closest points. (3) No kennels shall be grandfathered in. (a) A person commits an offense if the person in possession of any animal, including, but not limited to, a dog, cat, horse, mule, jack, jenny, cow, sheep, fowl, reptile, pig, or rabbit allows or permits the animal to run at large. (b) A person in possession of a dog, cat, horse, mule, jack, jenny, cow, sheep, fowl, reptile, or pig commits an offense if such person does not restrain the dog, cat, horse, mule, jack, jenny, cow, sheep, fowl, reptile, pig, or rabbit by some physical means (fence, rope, leash or chain) at all times, on or off the premises of the person in possession thereof. (c) A person in possession of an animal commits an offense if such person transports the animal in any open motor vehicle without securing the animal by a rope, leash, chain, carrier, or other device which will prevent the animal from escaping the vehicle or being ejected from the vehicle. (d) The animal control officer(s) has the right to pursue and apprehend animals running at large onto private property while enforcing the provisions of this chapter. The animal control officer(s) is hereby empowered to enter upon private property for the purpose of ascertaining whether any animal present, kept, or harbored thereon/therein is afflicted with rabies; or whether or not a vaccination license and city tag has been secured for any dog or cat to ascertain compliance with this chapter. State law references–Animals at large, V.T.C.A., Local Government Code, sec. 215.026; restraint, impoundment and disposition of dogs and cats, V.T.C.A., Health and Safety Code, sec. 826.033.
special permit issued by the city’s animal control division. (2) A minimum of 400 square feet shall be provided to each animal. (3) Such animal(s) must be fed and watered as required by section 2.06.001(a) of this chapter. cleaned on a daily basis. person, measured in a straight line at the two closest points. (6) A suitable method shall be provided to rapidly eliminate excess water from the parcel of land where the animal(s) is/are kept. safety of any person or animal. (8) No animals shall be restrained, tethered, or staked to graze in any right-of-way or alley within the incorporated city limits. (9) No animals or livestock shall be grandfathered in. permit issued by the city’s animal control division. (2) There must be at least ten (10) square feet of floor or ground area dedicated for each fowl. (3) The fowl must be fed and watered as required by section 2.06.001(a) of this chapter. health and safety of any person or animal. (6) No fowl shall be grandfathered in. State law reference–Authority of municipality to prohibit or otherwise regulate the keeping of livestock and swine, V.T.C.A., Local Government Code, sec. 215.026(b). (1) Have the dog or cat vaccinated against rabies not less often than every twelve (12) months. (2) Present a certificate from a veterinarian certifying such vaccination to the animal control unit. (3) Obtain a license for keeping the dog or cat in the city from the animal control unit. (4) Renew the license annually, prior to its expiration. (5) Dogs and cats must wear collars or harness with rabies and city license tags attached thereto at all times. A person commits an offense if they fail to comply with the provisions of this section. (1) Certificate of veterinarian. The applicant must present a written certificate from a veterinarian certifying that the dog or cat has been vaccinated against rabies within the twelve-month period preceding the date the certificate is presented. (C) That all information in the application is complete and accurate. (3) No prior convictions of certain offenses or revocation of a license. The applicant shall not have been convicted of any offense under this chapter or any law relating to animals, protection of animals, or the keeping of dangerous animals, within one (1) year from the date the application is submitted nor shall the applicant have had a license revoked under this chapter within one (1) year from the date the application is submitted. (4) No grounds for revocation of license exist. No facts or circumstances exist which would provide grounds for revocation of the license under this chapter, pursuant to section 2.03.004, at or prior to the time the license is issued. (5) Payment of license fee. The applicant has paid the license fee then required by the city. The license fee shall be established by the animal control officer, from time to time, with the concurrence of the mayor. (6) Competent adult. The applicant shall be a competent adult 18 years of age or older. A person commits an offense if the person in possession of any hybrid animal, (any offspring of two animals of different species) other than a mule (in appropriate zones) within the city limits. No hybrids will be grandfathered in.